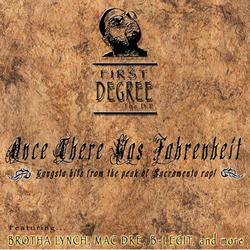 (2-CD set) Fahrenheit Records proudly presents a two disc set of First Degree's hits from the beginning of the Fahrenheit Records Era ('99-'03). This follow up to "Before There Was Fahrenheit" (FAH #8) features D.E. hits taken from appearances and D.E. 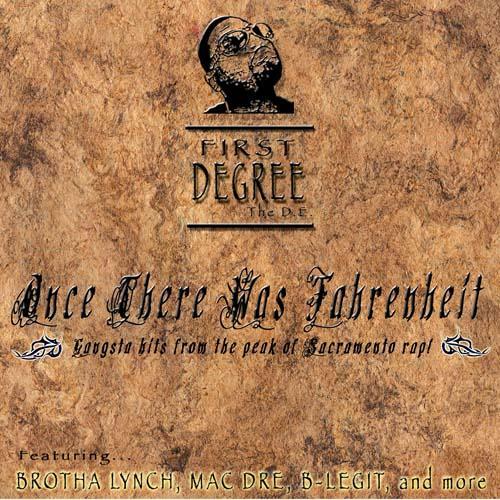 albums during the peak of the Sac rap era, including First Degree's most popular album, "Planet Zero" (FAH #1). Songs feature appearances by Mac Dre, Brotha Lynch Hung, B-Legit and more hard hitters!